Catching monsters while on the go is addictive, but those monsters can also eat through your mobile data in no time. 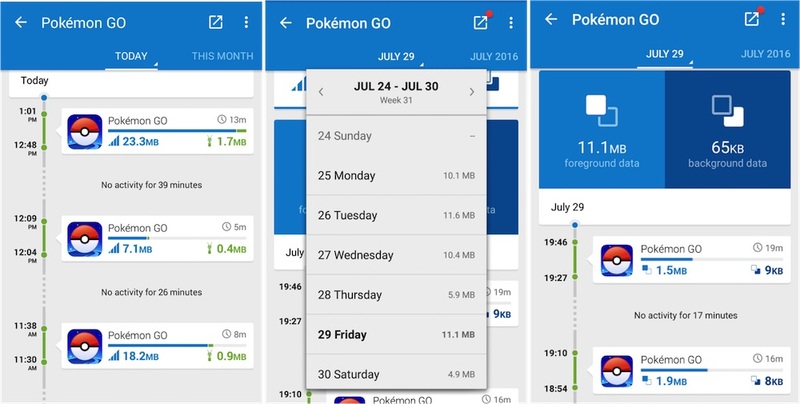 I play Pokémon Go myself, and I’ve used up at least 600 MB data in 28 days. That’s a lot of mobile data. But, did you know you can download a free app that can help you save and manage mobile data? 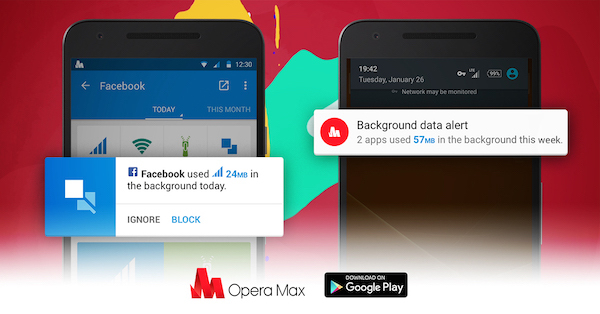 Opera Max is an Android app that help you save and manage your mobile data. With Opera Max, you can play Pokémon GO without worrying about overspending on your mobile data. With Opera Max, you can get real-time information about how much data Pokémon GO, and indeed every app on your Android phone, is consuming. This helps you get full control and understanding of your data usage, so that you can manage apps with ease and save data without even thinking about it. 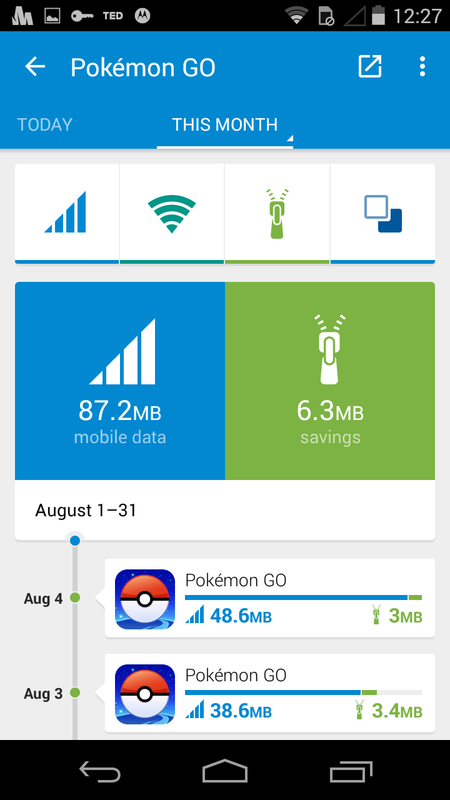 To know how much more data you use on Pokémon GO, tap the Pokémon GO icon on Opera Max’s timeline. Here you will see how much data you used on your hunt, and track your data consumption on a daily basis by clicking “today”. If you tap the summary icon, Opera Max will also show how much of that data usage happens in the foreground vs background and how much data it helps you save. Did you know that 30% of all your data usage is wasted in the background? That’s data that could be better spent hunting monsters! Background data is all the internet traffic that goes on when you’re not actually using an app: email syncing, pre-fetching ads, push notifications – even though you may never read them. Opera Max has a smart alert feature to notify you when an app consumes large amounts of data, so that you can choose to block it from using your mobile data, restricting it to Wi-Fi only, which will save you a ton of data. It also helps you to squeeze out more data for Pokémon GO when your connection is outside the range of a free Wi-Fi network. Online video consumes over 50% of your mobile data allowance – and that’s valuable data that you could be dedicating to Pokémon GO. Opera Max can shrink the size of video data to 50% of its original size for popular online video apps. In other words, if you use Opera Max, you consume less data when watching video on YouTube, Netflix and Instagram apps. That way, you free up some of your extra data to play Pokémon GO. I hope these tips can keep your mobile data consumption in control. 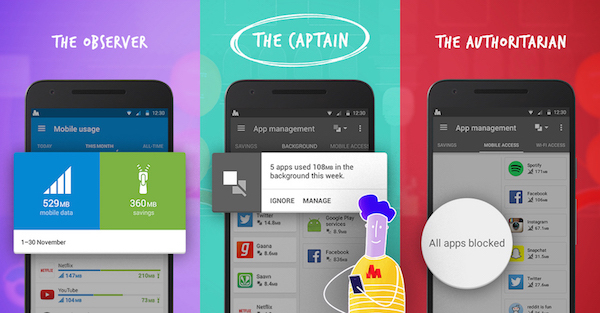 If you have other tips for saving data using Opera Max, please feel free to leave a comment below! Is background data devouring your data plan? Get free Opera Max app!